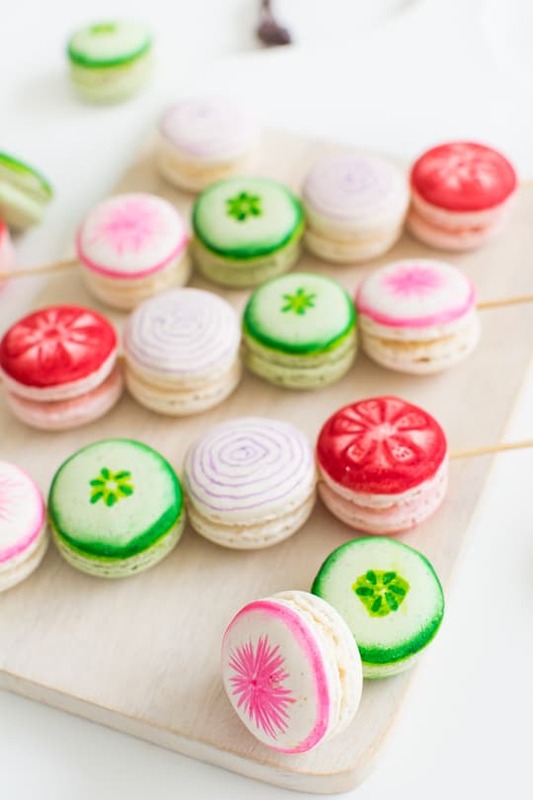 Well if there is no other way to get your kid to eat veggies, you can always just draw some on top of macarons, at least that’s my motto when it comes to Jared, anyways. I kid, I kid, he’s actually good at eating vegetables, but that’s about the closest thing I have to caring for something other than cats. 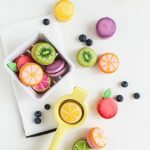 Really where this long story is going, is to tell you that I’ve whipped up another #glossaryofmacs with these DIY veggie kabob macarons! 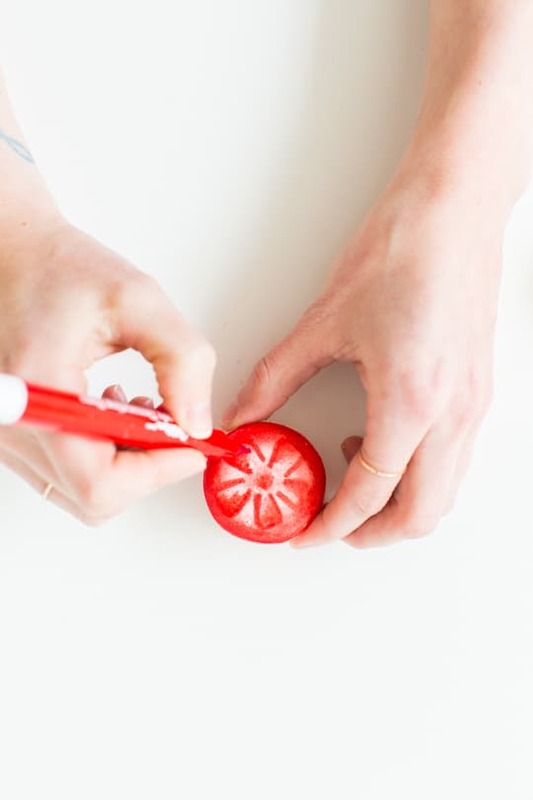 To make the “tomato” (I use this term lightly, feel free to out-do mine! 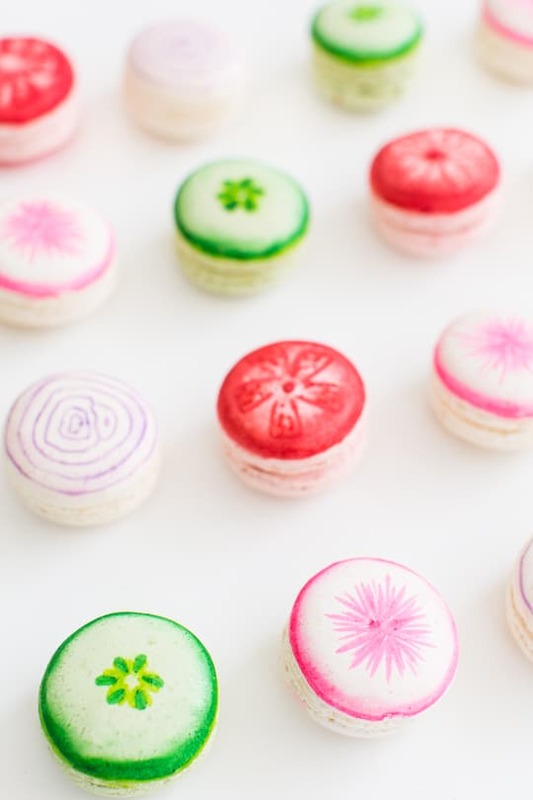 ), I ran a red edible marker around the edges of a pink macaron and blended it with my finger, then drew the inner segments with seed dots and a bit more blending. 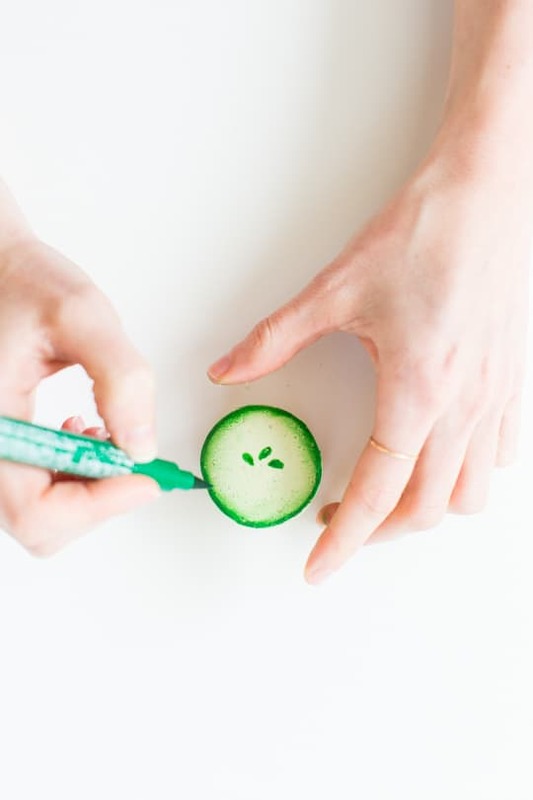 For the cucumber, use a mint green macaron and do the same thing with the outer edge and a green marker as you did for the tomato, and then draw the drop seeds in the middle, tracing them with the lighter green afterwards. 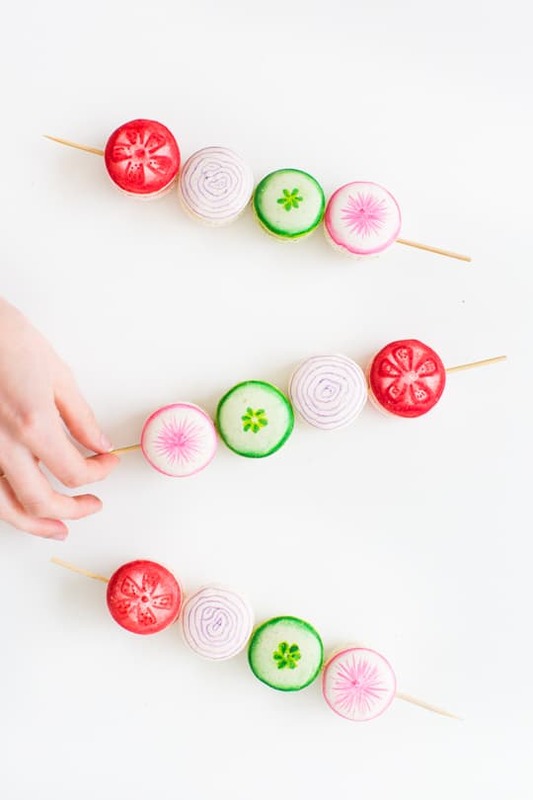 The turnip and onion slices are super easy! 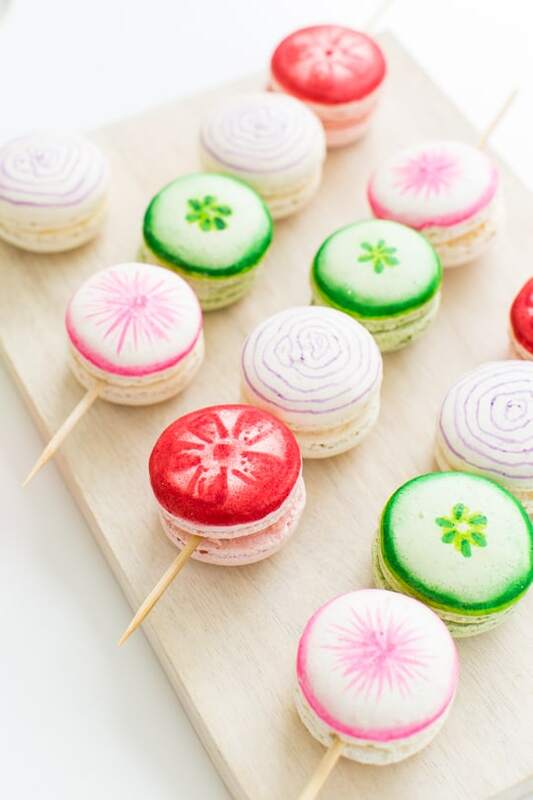 Using white macarons for both, the onion you simply make circles with the purple pen starting from the outside and moving your way in, making them progressively smaller. 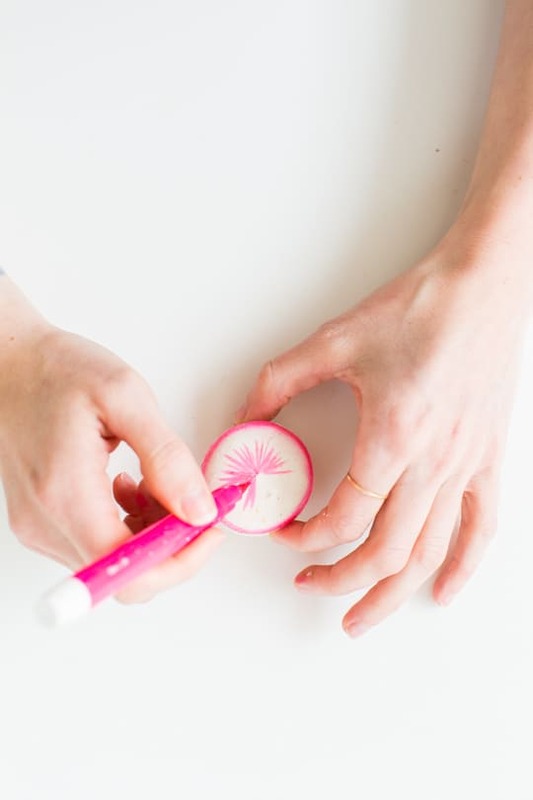 For the turnip, outline the edge in hot pink, and then start in the middle of the mac making little strokes outward like a starburst. 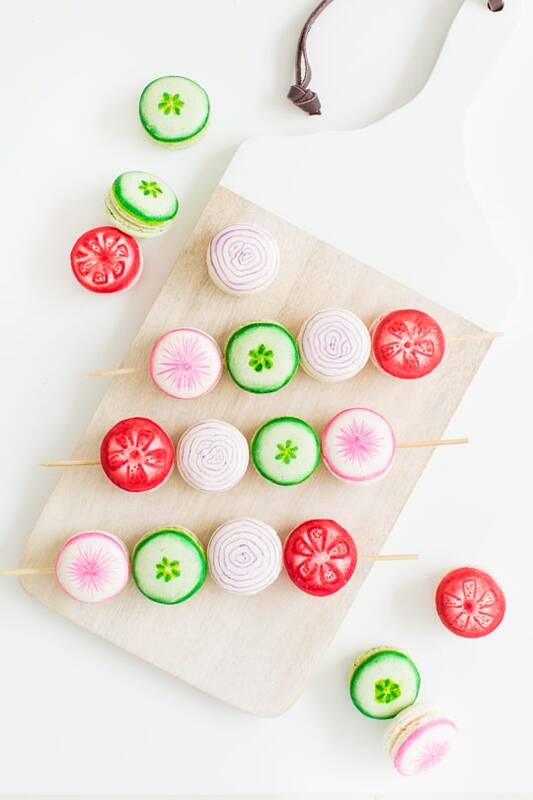 Once they’re all drawn, slide a bamboo skewer through the middles to make mini serveable rows! Can you guys at least humor me a little by saying these look a teeeeny tiny bit like veggies? I’ll give you a moment to stand back from the computer and squint a bit! 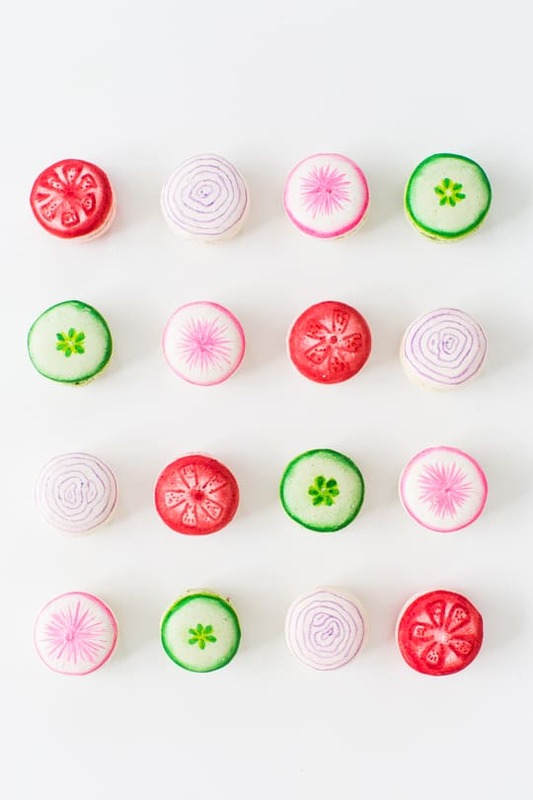 Um, those cucumber looking macarons are pretty! Onions are spot on too. No, these totally look real! No need to humor you, they look legit! Beautiful work! You have the prettiest blog world!!! LOVE this!! Such a cute idea!! These are amazing, Ash! 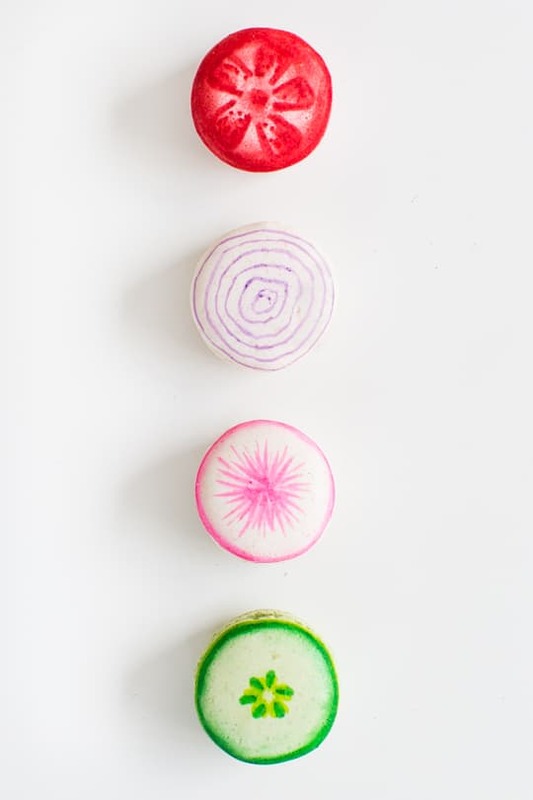 The onion macs are my fave, but I love them all. Oh! This looks absolutely perfect. 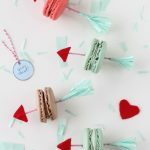 I always adore your DIYs, but macarons have something special for sure. You are SO creative with them, it’s amazing! 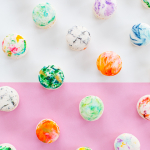 These are so fun, and so cute! 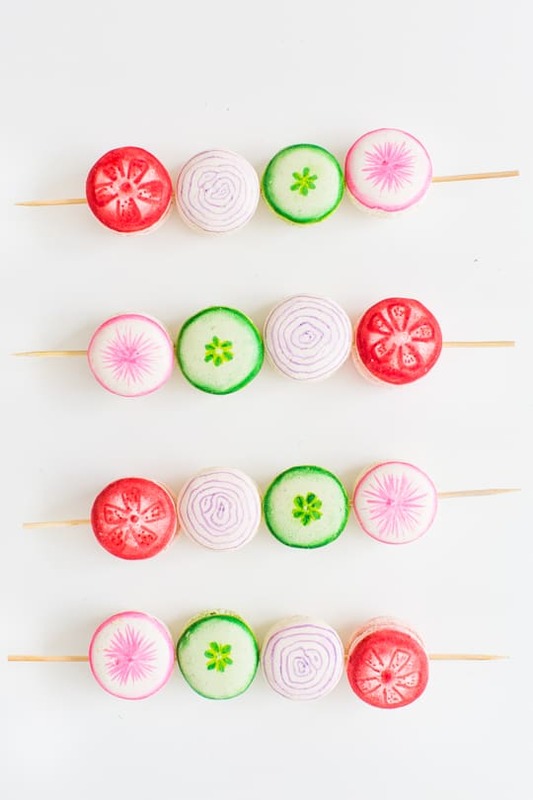 Gosh, these absolutely look like vegetables! 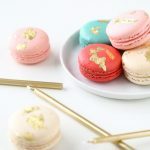 I’ve just discovered your website… I love to give macarons as gifts, but I think I need to step it up after seeing all yours. – They’re just fabulous! !